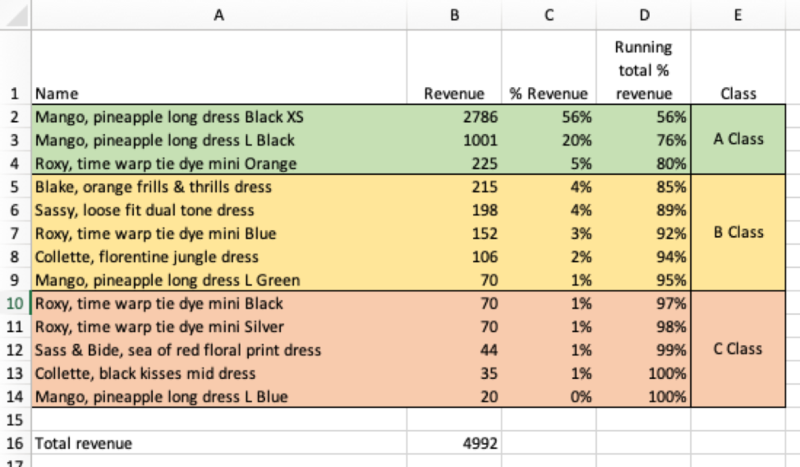 Are you having a hard time ranking how well your items are selling, and how you should replenish them? 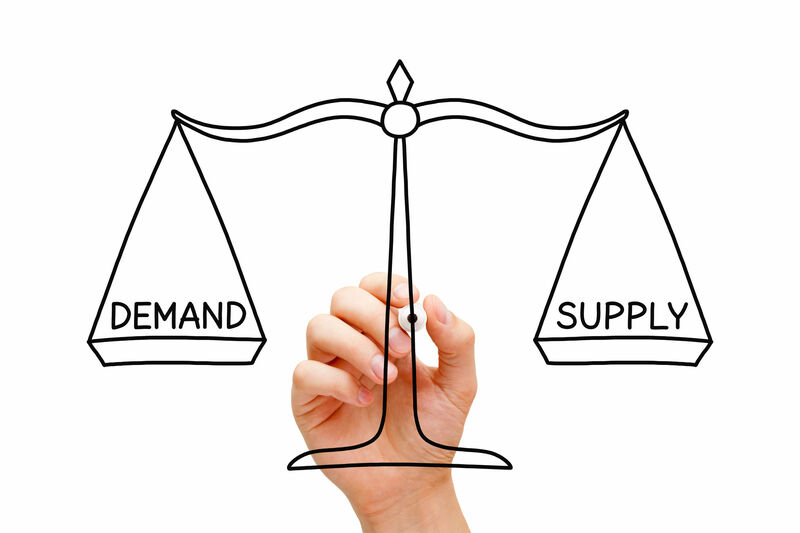 Not all the products in your store will have the same replenishment priority. 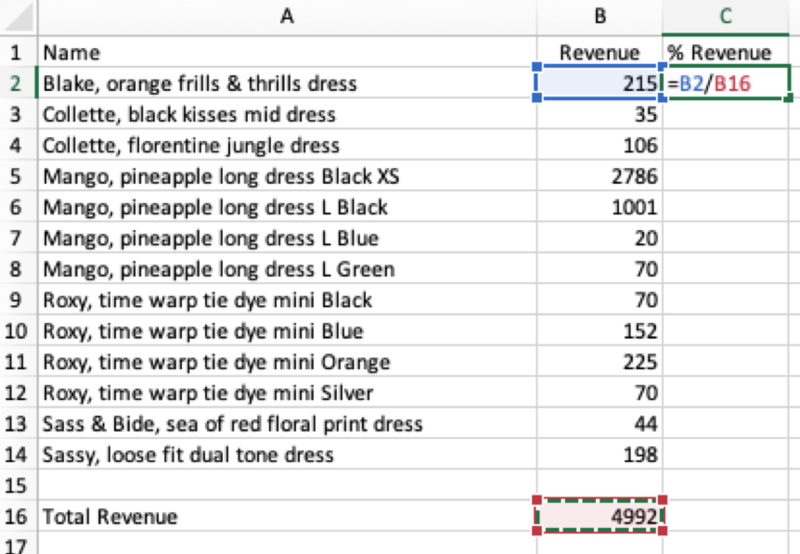 You may want to consider using an ABC class analysis of recent sales. 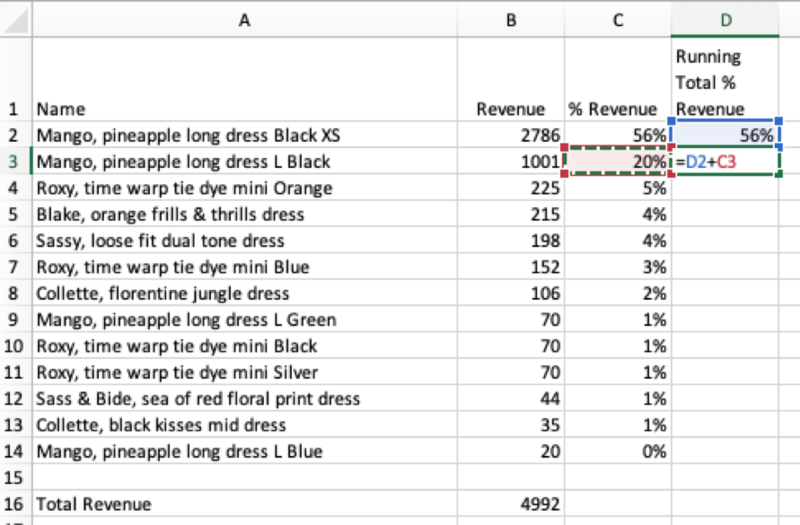 An ABC class analysis looks at each variant or product’s contribution to your revenue over a given time frame. For our purposes, we will use the last 30 days. Alternatively, you could calculate the contribution to your profit instead of your revenue to maximize your ROI. 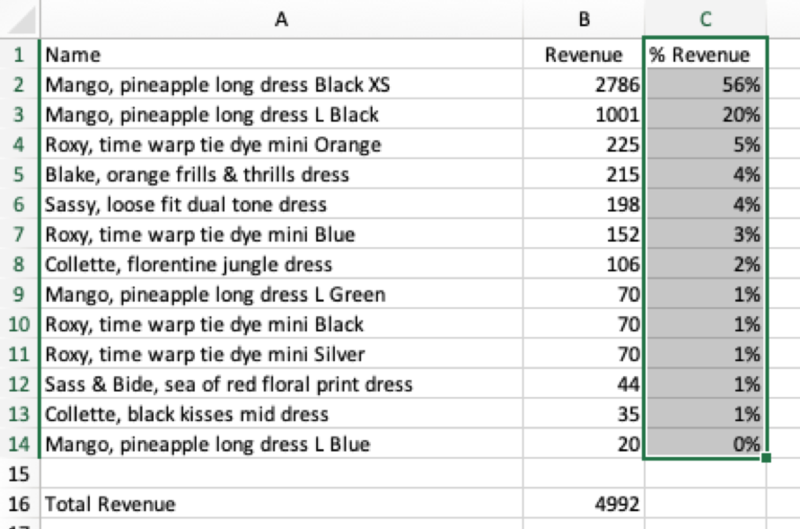 The variants contributing to 80% of your revenue are considered A class items. The next 15% of variants are B class, and the final 5% are C class items. You can change those figures if you want, but for our purposes, we are sticking with the 80/20 rule. You can prioritize A class items when determining replenishment priority so that you do not run out of stock and ensure that you replenish those items first. Remember, this might involve some level of overstock that goes beyond your ideal days of stock. This will act as a buffer to deal with any supply chain issues that might arise. B class items have next priority where you do not carry as much overstock. C class items could be items where you tolerate occasional stockouts—or even eliminate these items since they contribute the least amount to bottom line. Factors such as your ROI on inventory investments, risk tolerance, vendor considerations, stockouts, and analyzing product performance can inform what the target amount of your stock should be for your business. Ultimately, it is up to you to decide what risk tolerance is for stockouts and overstock in the interest of optimizing future sales. Go through more scenarios for your business to see when it might be relevant to get rid of C class. Ask if they are more work than they are worth—what is your total investment of time and cost? Look at it through the lens of prioritizing what you are replenishing for each of class of products. Treat them in different ways in the interest of cash flow, and meeting your customers’ needs. In the end, they all affect your online store’s profitability and revenue.